After hours and hours of hiking, the next thing you want to do is to take a break on a nice comfortable chair after finding a decent camping spot. These best camping chairs in 2019 reviews feature 10 of our highly recommended items to help you sit back and enjoy the great outdoors. 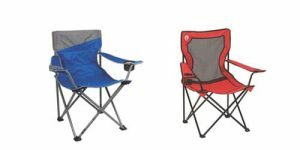 We have scoured the internet for these well-made chairs for camping that have met our high standards on durability, functionality, and comfort. 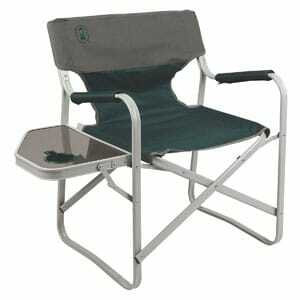 A good camping chair is a must-have during your outdoor adventure. In fact, you can also use this chair for your BBQ, picnic, or just about any activity whenever you want to spare yourself from hours of standing around. When buying this type of chair, you should consider the sturdiness of the frame, along with some useful features including a cup holder, wide seating area, foldable mechanism, and lightweight but durable material for the seat. A carrying bag where you can place the folded chair is also a good addition since it provides a neat storage that you can just grab and go. 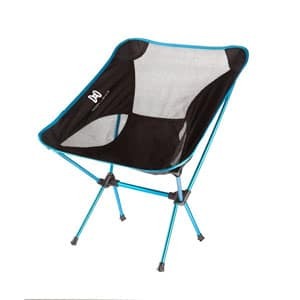 Let’s take a look at these best camping chairs in 2019 reviews we have gathered for you today. Learn about the features of each item and discover one that meets your needs and preferences the most. Whenever you need a portable chair for an outdoor activity, this Coleman quad chair will not disappoint. It features an arm rest built right into the seat, plus a cooler that hold a maximum of 4 cans of your favorite drinks. What’s more, there is a mesh cup holder that can accommodate a fifth drink just within your reach. With a storage pocket included, you can place your personal belongings, magazines, and smaller items in one spot. Also, the arm rest height can be adjusted, so you can customize it according to what suits you best. Made from heavy duty steel, the frame is durable and stable enough to hold a maximum weight capacity of 300 pounds. The only thing you may not like much about this chair is its rather heavy weight, as compared to its counterparts within the same price range. This will make it a bit of a challenge to pack and carry the chair after use. 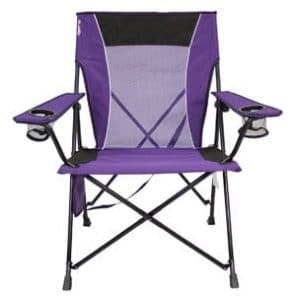 A lightweight, yet highly durable camping chair, you can easily set this up whenever you need a comfortable area to sit on while admiring the beauty outdoors. The frame is made from high quality steel to ensure its durability, and it can hold up to 225 pounds of maximum weight. With 300D tough polyester for the seat, this fabric can withstand moisture and stain effectively. Included in this chair is a mesh cup holder located in the arm rest, along with a carry bag for ease of transport. The chair is without a doubt comfortable and supportive. However, it may be a little difficult to put it away by yourself. So, you may want to fold it with the help of another person, so you can get it stored easily once you are done using it. Also, be sure to adhere to the maximum weight capacity requirements to get the most out of this chair. You will love the roomy seat of this mesh quad chair from Coleman with a 21.3-inch space for your to sit on. It stands at 18.1 inches in height, and it can support 250 pounds and below. The arm heights are adjustable, so you can get your preferred height to ensure your total comfort. The back rest is made from nylon mesh to keep your body cool. As a bonus, there is a cup holder in the arm rest. This allows you to have your drink within quick reach to keep yourself hydrated while enjoying the view outdoors. 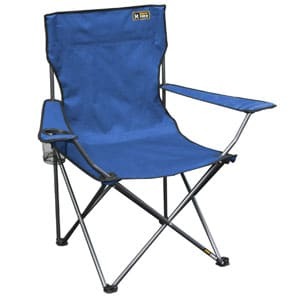 This camping chair is lightweight and portable, which is great for any trip. But it is designed for shorter and lighter individuals because of the build and weight capacity of the chair. Perfect for those who are tailgating, camping, or just out enjoying the beautiful night sky, this chair provides a relaxing space to sit and admire the view all around. The chair comes with ripstop polyester that is durable, and there is a padded headrest and seat, too. Even if you use this chair regularly, you can be sure that the seat remains firm and free from sagging. To give you a great back support, there is a dual lock feature to this chair that keeps it in the open position. There are also storage spaces in the chair such as the cell phone holder, mesh pocket and a zip pocket organizer for your personal items. 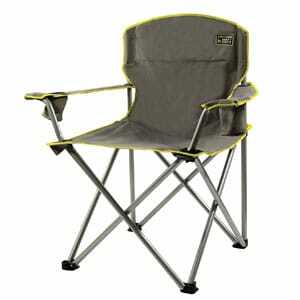 Without a doubt, this is one of the best camping chairs on this list in terms of design, durability, and functionality. It is also a little heavy, but you can be sure that its quality is impressive because of the durable materials and construction of this chair. 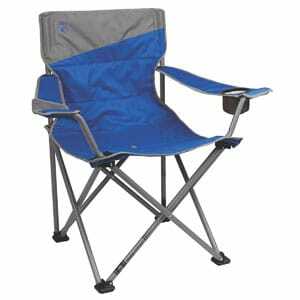 Durable and highly comfortable, this camping chair is made from quality 1000 D Oxford cloth that is sturdy to withstand rips. As for the frame, it is constructed from high-strength aluminum alloy, which makes it lightweight and stable at the same time. The combination of the frame and seat weighs a total of 2 pounds, yet it can old a maximum of 242 pounds. As this is a portable chair, it is easy to set up and fold after use. There are also cup holders and a mesh back to add to your satisfaction while you sit back and relax on this camping chair. Great for campers, hikers, backpackers, and concert-goers, this is a dependable chair without the extra heft. The only negative thing you may find about this chair is the light weight. Thus, it may be easy to tip over if you do not distribute your weight evenly on it. Initially, folding down and storing the chair may also take a longer time. When the night calls for some outdoor bonding with the family, then bring out the good old folding chairs for hours of relaxation, fun, and enjoyment with your loved ones. 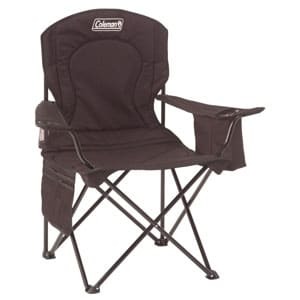 This Coleman Elite Deck portable chair is a solid choice because of its durable seat made from weather-resistant fabric, sturdy steel frame, and a built-in cup holder in the arm rest. The arms are also padded, and the sitting position of this chair is angled to meet your preference. Once you are ready to head back indoors, just fold the chair neatly and store it in the garage, basement, or closet. You will appreciate the sturdiness and comfortable seating space of this chair. It folds down flatly, so there should be no problem fitting it inside your trunk whenever you are going camping, tailgating, or hiking. But there are times when the chair is a little stiff to open and set up, although it gets easier after a while. No matter where you go, you can always bring this chair along with you as it is lightweight and portable. Setting it up is a breeze and should not take longer than a minute. 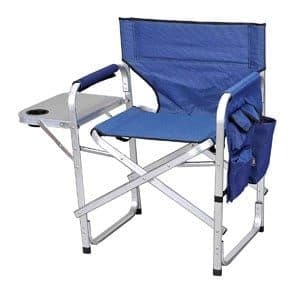 So, if you are heading to the beach, the park, or just about any place where a heavy duty folding chair is needed, then this item is a must-have. There are full armrests with 2 cup holders, so your beverage is just within reach all the time. After use, fold the chair and place it neatly inside the carry bag included in the package. It’s that simple! True enough, this chair is truly portable and easy to set up or fold down. There is also an adequate seating space and this chair can hold a maximum of 300 pounds. Plus, the cup holders make it convenient for you to have your drinks available at all times. Supportive and comfortable, this chair is perfect whenever you need a portable chair for an outdoor trip. This comes with a bungee suspension system that is flexible enough to provide you with the comfort you want in a chair. As for the back part, there is a mesh material that keeps you cool even when you sit outside during the hottest time of the year. With the drink holder, it can fit your coffee cup, can of soda, or wine glass without a problem. This is an excellent chair for taller people as it is set up higher than the usual folding chairs. Kids or individuals under 5 feet tall may find that their feet are barely touching the ground, which may be a little uncomfortable. With a frame constructed from aluminum, this chair is lightweight and sturdy at the same time. You can fold it with ease until it is compact and flat enough to store it in the trunk of your vehicle or your closet. There is a side table that you can retract whenever you need an extra storage, plus there are accessory pocket where you can place your magazines, books, crossword puzzles, or board games. This is a great chair that’s easy to bring along, as well, as it only weighs 10 pounds. 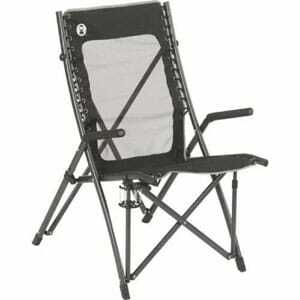 Without a doubt, this is a well-made folding chair that is perfect for use anytime and anywhere. However, the cup holder seems a little too tight to fit a regular water bottle. Mainly, it can only hold a slim paper cup. Designed for individuals who want more seating space, this Big N Tall quad camp chair from Coleman lets you relax in sheer comfort. It can hold as much as 600 pounds as its frame is made from sturdy steel with oversized feet to keep the chair stable. Interesting features of this chair includes the Seat Drain System, which prevents mildew buildup as dew or water drains easily. There is also a smartphone sleeve with a water-resistant and clear PVC window to provide optimum protection to your device. Also, the insulated cup holder is integrated into the chair to keep your beverage cool – just the way you want it. This is certainly a sturdy and beautiful chair. You will like how wide the seat is, and it can hold a good amount of weight. Unfortunately, the metal arms located at the seat’s front edge tends to push into the legs, causing minor discomfort. 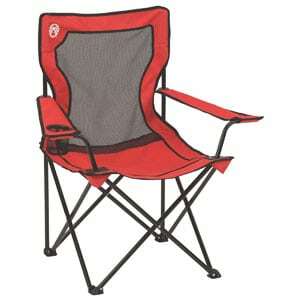 A portable camping chair is truly a must-have in every outdoor activity. This is why we hope that after you have gone through our best camping chairs in 2019 reviews, you were able to discover the perfect item you need to achieve total satisfaction and value for your precious dollar.